The Pentagon will deploy about 3,750 additional U.S. forces to the U.S.-Mexico border for 90 days, the Department of Defense said in statement Sunday. Those forces will provide support to Customs and Border Protection (CBP) at the southwest border, according to the statement, and raise the total of active duty forces supporting CBP there to about 4,350. The support they will provide includes "mobile surveillance capability" through September and the placement of "approximately 150 miles of concertina wire between ports of entry," the statement said. The additional forces will be deployed for 90 days and were approved by Acting Secretary of Defense Patrick Shanahan on Jan. 11, according to the statement. On Tuesday, Shanahan said the U.S. would be sending "several thousand" more troops to the Mexico border. Two days later after a defense official testified before the House Armed Services Committee, committee chairman Rep. Adam Smith criticized department officials for not disclosing the increase in troops or providing estimates on such an increase. Smith, D-Wash., said both in a letter to Shanahan and a separate statement that he was "deeply troubled" by the omission. "The Members of the Committee would have been extremely interested in discussing what the 3,500 troops going to the border in response to DHS's latest request will be doing there," Smith said in a statement, referring to the Department of Homeland Security. "This is a violation of the executive branch's obligation to be transparent with Congress, which oversees, authorizes, and funds its operations." The move comes as another so-called caravan of asylum seekers and migrants from Central America has been making its way to the U.S. border. Last week, a group of about 2,400 migrants began the journey from Mexico City north last week, Mexican officials said,according to Reuters. President Donald Trump tweeted about the caravan on Sunday, saying "If there is no Wall, there is no Security." 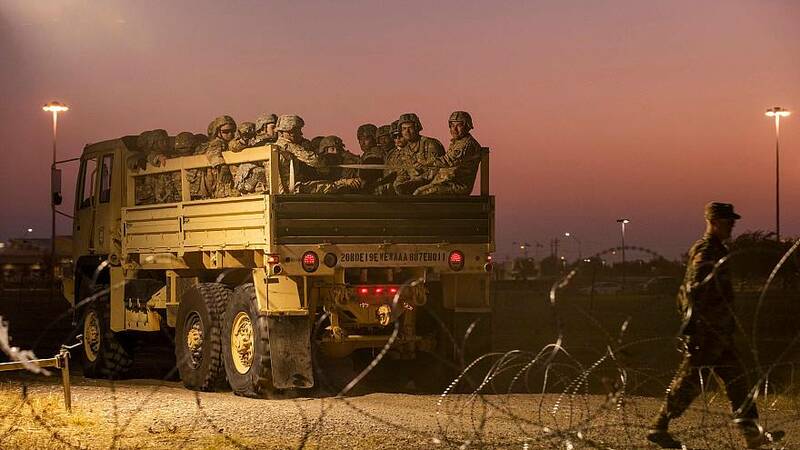 The president also tweeted on Thursday about the additional troops, saying the U.S. had "stopped the previous Caravans, and we will stop these also. "Last week, the Trump administration also began its new policy of sending some migrants seeking asylum back to Mexico while they await court hearings that are set to take place in San Diego. 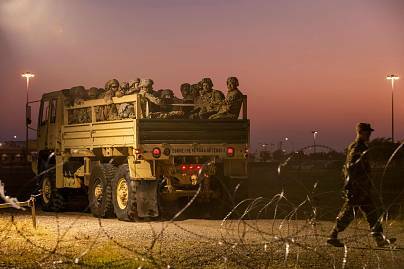 The Pentagon previously announced in October that it would deploy an additional 5,600 troops to the southern border ahead of the midterm elections and in the wake of a caravan making its way to the U.S. that month from Central America. At the time, the caravan was still three weeks away from arriving to the border city of Tijuana. Thousands of migrants have since been waiting weeks or months to seek asylum in the U.S., often waiting in shelters and in poor conditions. Any additional forces deployed by the U.S. are not allowed to apprehend migrants the way border agents do. Instead, the last group also offered such support as laying barbed wire and erecting tent facilities for themselves and Border Patrol.